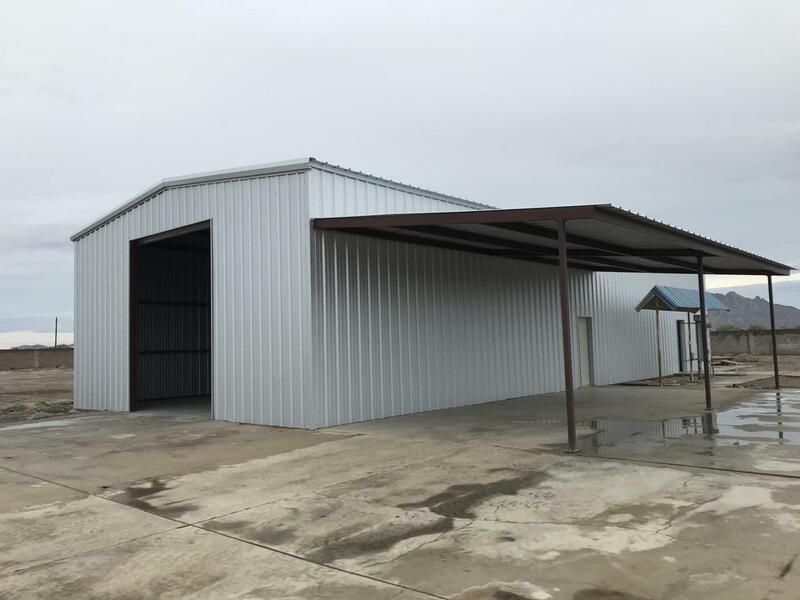 New metal warehouse 60 x 30 (1800 sq ft) + office 18 x 19 (342 sq ft). 16' ceiling. 12' x 14' roll up door. Fenced and secure location. tenant will have about 2 acres of land. great location for tow/ vehicle storage area. Listing courtesy of Hearthstone Realty. © 2019 Arizona Regional Multiple Listing Service, Inc. All rights reserved. All information should be verified by the recipient and none is guaranteed as accurate by ARMLS. The ARMLS logo indicates a property listed by a real estate brokerage other than The Property Partners at eXp Realty. Data last updated 2019-04-21T00:11:58.183. Listing information Copyright 2019 MLS of Southern Arizona. All Rights Reserved. Data last updated: 2019-04-21T00:06:43.447. The data relating to real estate listings on this website comes in part from the Internet Data Exchange (IDX) program of Multiple Listing Service of Southern Arizona. IDX information is provided exclusively for consumers' personal, non-commercial use and may not be used for any purpose other than to identify prospective properties consumers may be interested in purchasing. Listings provided by brokerages other than The Property Partners at eXp Realty are identified with the MLSSAZ IDX Logo. All Information Is Deemed Reliable But Is Not Guaranteed Accurate.